Throughout this month I’ve been looking at various Christmassy horror titles, many of which were made by the BBC and have been released for the first time by the BFI as part of their Gothic: The Dark Heart of Film season. 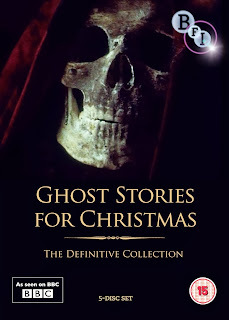 With recent releases such as the surviving episodes of the long thought lost Dead of Night, a creepy BBC anthology series, and the Ghost Stories for Christmas collection, which includes many adaptations of the work of M.R. James, the BFI has provided access to long sought after and historically significant horror rarities. These releases have been part of a staggering array of BFI film screenings and special events throughout the UK this year, all in celebration of our Gothic cinematic heritage. 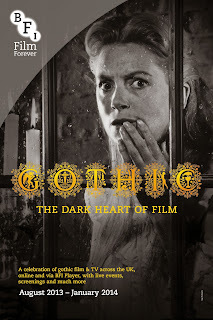 I recently had the pleasure of interviewing Sam Dunn, the BFI’s Head of Video Publishing, and Rhidian Davis, Season Organiser of Gothic: The Dark Heart of Film. Head over to Diabolique to read it. 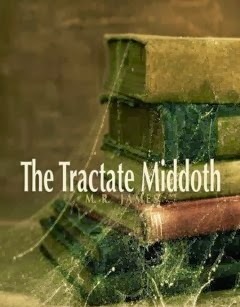 Since the early Seventies the BBC has had a tradition of broadcasting ghost stories during the festive period, predominantly adapted from the work of medieval scholar and former Provost of Kings College, Cambridge, MR James. 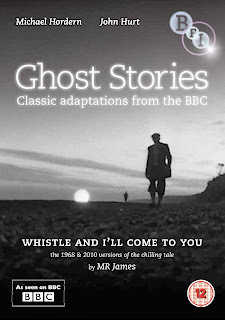 James wrote many of his, now classic, ghost stories to be read aloud on Christmas Eve to his friends and colleagues. 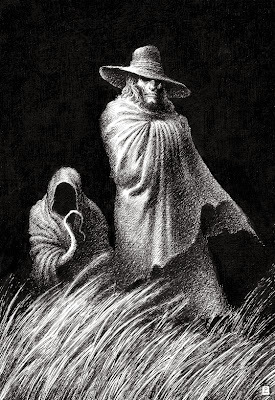 In the 2000s BBC4 attempted to reignite the old Ghost Story at Christmas tradition by adapting MR James’s A View from a Hill (2005) and Number 13 (2006). This series was seemingly short lived though, as their next outing wasn’t until 2010, and an unusual reinterpretation of James’s classic chiller Oh Whistle and I’ll Come to You, My Lad. While de Emmony’s direction captures the atmosphere and tone of James very well, this film differs significantly from other adaptations, including Jonathan Miller’s supremely unsettling 1968 take. With a slim running time (just over 30 minutes) The Ash Tree is one of the shortest entries in the series, but it is also one of the densest. The amount of detail and information packed in, without compromising or diluting the impact of the source material, is admirable. Clarke manages to convey events and flashbacks by utilising an interesting narrative structure and some beautifully subtle editing.